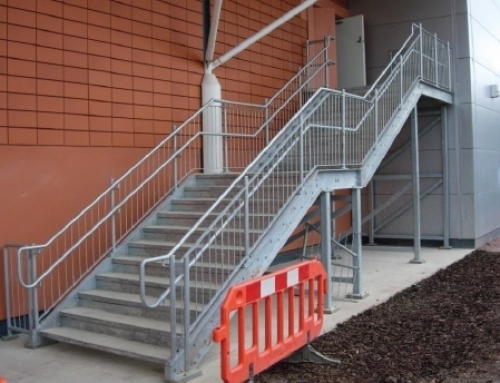 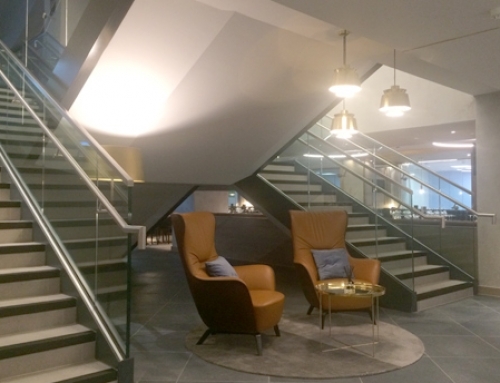 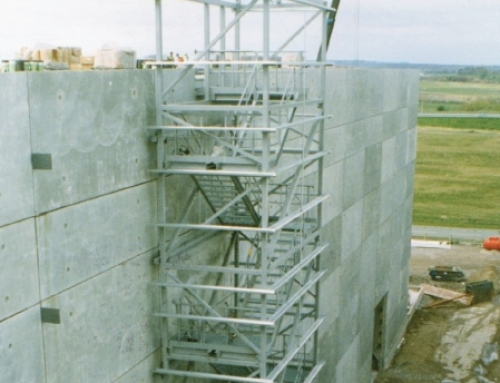 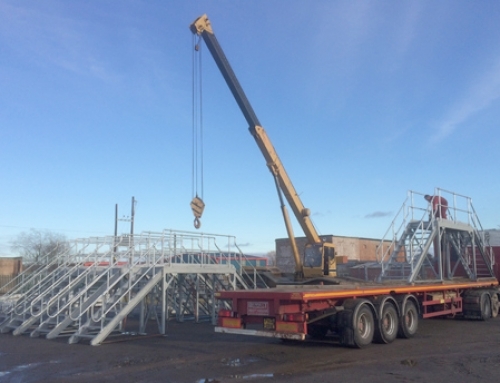 Parade Ring Access Stairs- Aintree Racecourse R & R Engineering manufactured many access stairs on the Aintree Racecourse project. 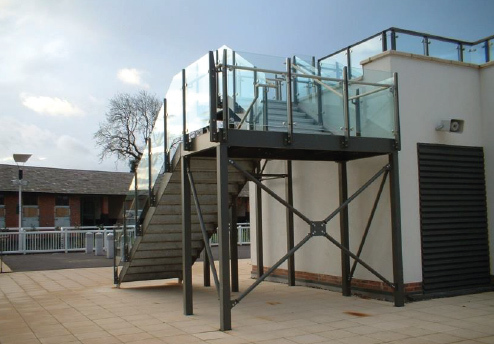 This particular one provided access to the Parade Ring. 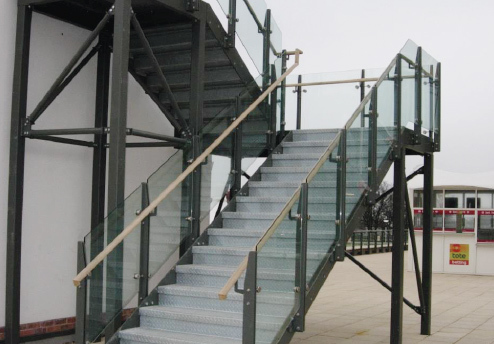 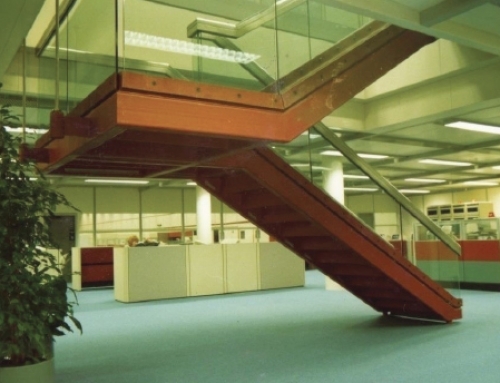 It was manufactured with flat bar stringers, Durbar treads and has a double flat bar standard to support the glass balustrade and oak handrail.